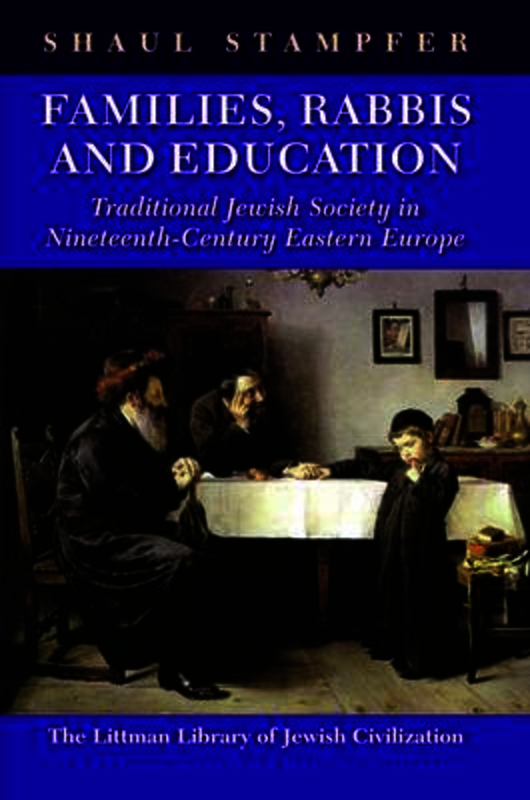 The realities of Jewish life in eastern Europe that concerned the average Jew meant the way their children grew up, the way they studied, how they married, and all the subsequent stages of the life cycle-including the problems of divorce, remarriage, and elderly parents. The family and the community were in a very real sense the core institutions of east European Jewish society. These realities were always dynamic and evolving but in the nineteenth century, the pace of change in almost every area of life was exceptionally rapid. This collection of essays deals with these social realities objectively and analytically. Some of the essays presented here are classics that have been widely acclaimed, earning their author a well-deserved reputation for authoritative research; all have been comprehensively revised for this book. They avoid both sentimental descriptions and judgmental attitudes. The result is a picture that is far from the stereotyped view of the past that is common today, but a more honest and more comprehensive one. Topics covered in the studies on education consider the learning experiences of both males and females of different ages. They also deal with and distinguish between study among the well off and learned (not surprisingly, the two went together) and study among the poorer masses. A number of essays are devoted to aspects of educating the elite. Here too, the reconstruction of the realities of the past, as opposed to the stereotypical popular image, reveals the remarkable creativity of what is often mistakenly considered a highly conservative element of society. Several essays deal with aspects of marriage, a key element in the life of most Jews. Using both quantitative and qualitative sources, the author has been able to identify and document characteristics of both first and subsequent marriages and to highlight and explain trends that have hitherto been misunderstood. The problem of aged parents and the changing nature of the nuclear family is also considered. The attempt to understand the rabbinate in its social and historical context is no less revealing then the studies in other areas. The realities of rabbinical life—the problems of getting appointments, job security and insecurity, changing responsibilities and the difficulties of dealing with fragmented and modernizing communities—are presented in a way that explains rabbinic behavior and the complex relations between communities, ideologies, and modernization. These essays look at the past through the prism of the lives of ordinary people, with results that are sometimes surprising but always stimulating. The topics they treat are varied, but the concern to explain what lay behind the visible reality is common to all of them. Shaul Stampfer is Rabbi Edward Sandrow Professor of Soviet and East European Jewry at the Hebrew University of Jerusalem. He has also taught at Harvard University and elsewhere, including-in 1989-1991-in Moscow, where he helped establish the Jewish University. Through his many published articles he has made a seminal contribution to the Jewish social history of eastern Europe, opening up new areas of research in the history of Jewish education, Jewish demography and family life, community organization and leadership, and related topics. His book, Lithuanian Yeshivas of the Nineteeth Century: Creating a Tradition of Learning, will also be published by the Littman Library. Shaul Stampfer is Rabbi Edward Sandrow Professor of Soviet and East European Jewry and chairman of the Department of Jewish History at the Hebrew University of Jerusalem. He has also taught at Harvard University and elsewhere, including in Moscow (1989–91), where he helped establish the Jewish University. Through his many published articles he has made a seminal contribution to the Jewish social history of eastern Europe, opening up new areas of research in the history of Jewish education, Jewish demography and family life, community organization and leadership, and related topics. 6. Was the Traditional East European Jewish Family in the Recent Past Patriarchal?